Made up of a curious network of islands and lagoons, Lagos is one of the fastest growing cities in the world The unique melting pot culture of Lagos has produced literary and artistic achievements that are only just beginning to be recognised globally Lagos is one of the fastest growing cities in the world, expected in some projections to have a population of 25 million by 2025. This will make it the biggest metropolis in sub-Saharan Africa and possibly the world’s third largest city. This phenomenal and continuing growth gives it a heady turbulence, especially as it only took on the form of a coherent urban entity in the eighteenth century. After Nigeria’s independence Lagos remained both trading hub and, for thirty years, a federal capital and political vortex. Now its driving sense of “can-do”, its outreach and vitality, make it a fulcrum and a channel for commercial and cultural talent.Kaye Whiteman explores a city that has constantly re-invented itself, from the first settlement on an uninhabited island to the creation of the port in the early years of the twentieth century. 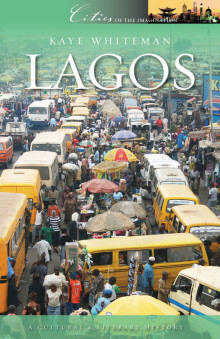 Lagos is still defined by its curious network of islands and lagoons, where erosion and reclamation lead to a permanently shifting topography, but history has thrust it into the role of a burgeoning mega-city, overcoming all nature’s obstacles. The city’s melting-pot has fertilised a unique literary and artistic flowering that is only now beginning to be appreciated by a world that has only seen slums and chaos.COLONIAL CITY: Portuguese influences; the 1861 Treaty of Cession and the British colonialists; architectural traces: schools and government buildings; the move towards independence.CITY OF ENTREPRENEURS: trading through the centuries: Sierra Leoneans and Brazilians; traditional markets and modern malls; the Central Business District. THE CITY OF WORDS AND MUSIC: a counterpoint to the alleged philistinism of its businessmen; the views of writers Wole Soyinka and Chinua Achebe; artist and sculptor Ben Enwonwu; the musical genius Fela Kuti. Kaye Whiteman is a writer on West African affairs, and for many years was Editor of West Africa magazine. He has also been Director of Information at the Commonwealth Secretariat.